There was nothing she could have done to save Charlie… or was there? 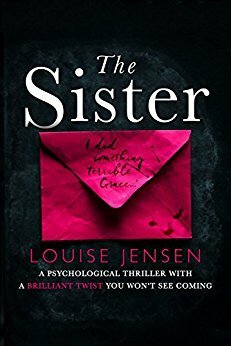 The Sister is another wonderful psychological thriller from Louise Jensen. The Sister was originally published in 2016 and was Ms. Jensen’s first thriller but I did not begin reading her work until her next book. So far she has released four thrillers and I’d read three and enjoyed them so when I saw this one was be re-released I knew I had to pick it up and I’m glad I did. The Sister follows twenty five year old Grace who is still mourning the loss of her best friend Charlie. Grace and Charlie had buried some mementos when they were kids and with Charlie gone Grace thinks it’s now time to find out what it was that Charlie had put in the box. As we are following Grace in the present time though the story also flashes back to the past to show Charlie and Grace as they became friends. It follows the pair all the way up to the events that led to their eventual separation and to the day that Grace lost Charlie forever. When Grace finds that Charlie wanted to eventually find her father and knowing that she never did Grace comes up with the plan to do it now in her honor. So when a girl named Anna claims to be related to Charlie Grace is happy to bring her into her life and the home she shares with her boyfriend. The Sister thankfully was another that was easy to follow even though it switched between time periods and I never felt lost as it went back and forth the way you may do with some books. With different events going on in both timelines it’s almost as if reading two stories but of course everything eventually weaves together wonderfully. Another great read from an author I’ve come to enjoy. Louise Jensen is a USA Today bestselling author of psychological thrillers. Her first two novels, The Sister and The Gift, were both international #1 bestsellers, and have been sold for translation to sixteen countries. Her debut novel, The Sister, was nominated for The Goodreads Awards Debut of 2016. Louise lives in Northamptonshire with her husband, children, madcap dog and a rather naughty cat. 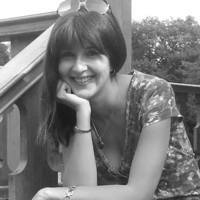 She loves to hear from readers and writers and can be found at LouiseJensen.co.uk, where she regularly blogs flash fiction. Fantastic review, Carrie! I have read one by this author and definitely want to check out some more. I think the one I read was called The Surrogate. Ah, thank you for saying that about The Surrogate, Carrie. I just “liked” it and so I skipped over The Date! Ack! So I will definitely check out The Date at some point. I jumped for this as well Carrie after enjoying her other 3 books. Awesome review as always. Can’t wait to read this. I really enjoyed this one too! Great review! Great review Carrie. I am beginning to think of Louise Jensen as one of my go to authors. I do enjoy novels with different time lines as long as they blend together nicely and it sounds like this one does. Wonderful. Great review Carrie.I read this when it first came out and really enjoyed.I’ve read all Jensen’s books since,she’s really good!Glad you enjoyed The Sister.